How Much Influence Do The Housing Bubble Bloggers Have? As the whole idea of blogs is so new, it's doubtful that Lereah's calculations would have taken into account the drops in value incited by these "panic-inciting" blogs. Like someone yelling FIRE! in a crowded theater, the blogs are sure to have an effect ... Albeit a temporary one as people realize the predictions are based on falsehoods. Prices have dropped not because of some blogger 'incited' panic, but rather because in the bubble markets prices have become divorced from the fundamentals (price to rent ratio, income etc). It is flattering to think us housing bubble bloggers have that much power. Many of us housing bubble bloggers have received a bit of mainstream press. 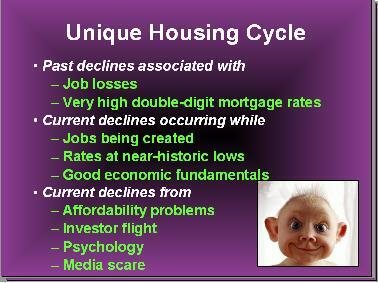 Yes, we are a having a small effect and we made the housing decline start just a bit sooner. But, the bubbliciousness was unsustainable and was inevitably going to burst due to its own absurdity. In October and November of 2005 the National Association of Realtors (NAR) released their preposterous anti-bubble reports. In these reports propaganda handouts, the NAR basically said that in all housing markets that it would be extremely unlikely for prices to decline by 5%. The research on these reports was led by David Lereah who is the discredited chief economist of the NAR. In their Sarasota - Bradenton report (pdf) the NAR claimed "price declines in the local market are unlikely according to our stress test." They also claimed that "the local housing market will experience a price decline of 5% only under extreme unlikely scenarios. 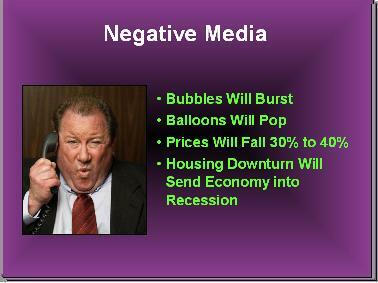 For example mortgage rates rise to 9% in combination with 33,000 job losses could lead to a price decline." Well mortgage rates are nowhere near 9% and also there has not been 33,000 job losses in the Sarasota -Bradenton metro area. Yet despite this "Prices remain the story in home sales, with Sarasota-Bradenton prices falling 18 percent in October, the second biggest drop in the state. The median sales price in the Sarasota-Bradenton market was $277,900 last month, compared with $340,700 during the same month in booming 2005. (Herald Tribune)." 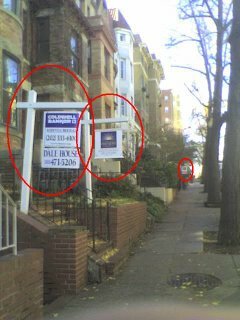 On November 15, 2005 I criticized there reports saying that "The work of NAR on these housing reports is contradictory, deceitful and lousy. NAR should be ashamed of their research." There anti-bubble reports have been proven wrong. The NAR's work needs to be debunked more by the mainstream media. The National Association of Realtors cannot be trusted. "Sales of existing U.S. homes rose 0.5% to a seasonally adjusted annual rate of 6.24 million in October, the first increase since February, the National Association of Realtors reported Tuesday. Economists were expecting sales to fall to 6.15 million annualized. September's sales were revised higher to 6.21 million from 6.18 million initially reported." No folks this is not the bottom and the housing market will continue to decline. Overall, this is NOT a rosy report. "Housing has played a significant role in the recent slowing of overall activity, and developments in this sector are likely to have an important influence on economic growth going forward as well. As you know, the correction in the housing market that is now in train follows a boom during the first half of this decade. Between 2000 and late 2005, the pace of construction of single-family homes rose more than 40 percent, and sales of both new and existing homes increased by a similar amount. Nationally, home prices increased about 60 percent over that period--an average figure that masks considerable variation in the rate of price appreciation across cities and regions, as home prices rose exceptionally rapidly in some "hot" locations but only modestly in others." "No real or financial asset can be counted upon to pay a higher risk-adjusted return than other assets year after year, and housing is no exception. Thus, a slowing in the pace of house-price appreciation was inevitable. Moreover, the sustained rise in prices, together with some increase in mortgage interest rates, sowed the seeds of the correction by making housing progressively less affordable. Declining affordability ultimately served to limit the demand for housing, leading to a deceleration in house prices and slowing home purchases." "The drop in home sales that began earlier this year has led homebuilders to curtail the rate of new construction. Indeed, single-family housing starts are down about 35 percent since their peak earlier this year. Obtaining a precise read on home prices is difficult: During a period of weak demand, potential sellers often choose to leave their homes on the market longer or even to remove them from the market, rather than accept price offers that are below their expectations. The timeliest data on house prices do not fully account for changes in the composition of home sales by location, size, and other characteristics. Moreover, the data do not capture hidden price cuts, as when builders try to stimulate sales through the use of "sweeteners" such as paying the customer's mortgage points or upgrading features of the house at no additional cost. Nevertheless, there can be little doubt that the rate of home-price appreciation has slowed significantly for the nation as whole. Some areas have continued to experience gains--albeit smaller ones than before--while other markets have seen outright price declines. " "Notwithstanding the sharp reduction in starts of new single-family houses, inventories of both new and existing homes for sale have increased markedly this year. For example, according to the most recent data, homebuilders currently have about 550,000 new homes for sale, roughly half again the number that has been typical during the past decade. Moreover, the official statistics likely understate the full extent of the inventory buildup, as many homebuilders have reported a sharp increase this year in the number of buyers canceling signed contracts. A home for which the sales contract is cancelled becomes available for sale once again but is not included in the official data on the inventory of unsold new homes. To reduce this inventory overhang, builders are likely to continue to limit the number of new homes under construction." "Although residential construction continues to sag, some indications suggest that the rate of home purchase may be stabilizing, perhaps in response to modest declines in mortgage interest rates over the past few months and lower prices in some markets. Sales of new homes ticked up in August and increased a bit further in September. The University of Michigan's survey of consumers shows an increase in the share of respondents who believe that now is a good time to buy a home, from 57 percent in September to 67 percent in November. Meanwhile, an index of applications for mortgages for home purchases has been trending up since July. Although these developments are encouraging, we should keep in mind that even if demand stabilizes in its current range, reducing the inventory of unsold homes to more normal levels will likely involve further adjustments in production. The slowing pace of residential construction is likely to be a drag on economic growth into next year. " Pat Vredevoogd Combs, a Grand Rapids Realtor who became president of the Ntional Association of Realtors this month, said the current market transition -- what some call a slump -- is good news for buyers. In other words, 'BUY NOW' or else prices will rise and there will be less choice. Don't be fooled by the Housing Industrial Complex. 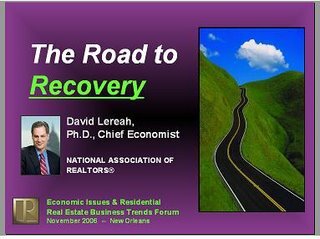 David Lereah's presentation The Road to Recovery (ppt), slide number 1, at the Realtor's Annual Convention in New Orleans (Nardi Gras). It is ironic that there is a steep treacherous cliff on the edge of the road and clouds ahead. Announcing that it is a 'Unique Housing Cycle,' Lereah blames the current declines on affordability problems, investor flight, psychology and a media scare. Sidelined Buyers: Lereah tells potential buyer that the 'Buyer's Market Will Soon End.' Lereah is once again using scare tactics to sell houses. Lereah is a disgrace. His real estate books have been discredited. Lereah, will go down in infamy as the housing bubble continues to pop. Lereah is the new Irving Fisher. David Lererah mocks the 'Negative Media'. 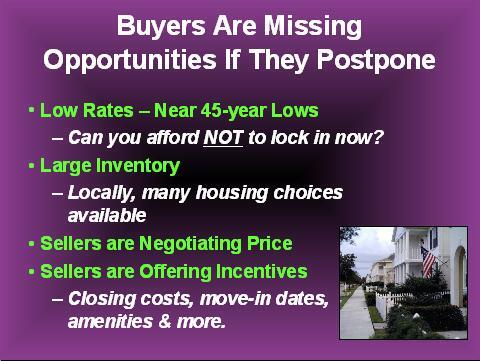 'Buyers Are Missing Opportunities If They Postpone.' He asks "Can you afford NOT to lock in now?" given today's low interest rates. Does Lereah have no shame? 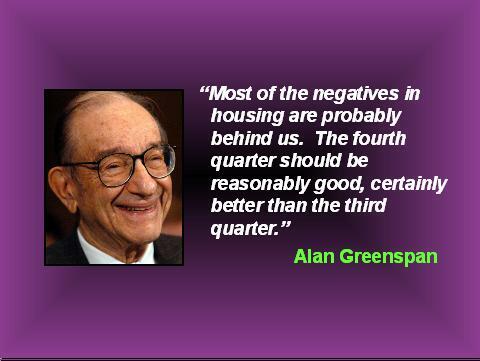 Lereah's last slide is a quote from Greenspan saying that "Most of the negatives in housing are probably behind us. The fourth quarter should be reasonably good, certainly better than the third quarter." At Pulte Homes' Second Annual Sales Event proclaims "It's a Great Time To Buy!" They go on and falsely proclaim "There has never been a better time to buy a home." How about in 2001? During 2001, it was was surely a better time to buy in the bubble markets. Show up, see the their bubblicious homes and get a 25$ Amazon gift certificate. Sweet! The number of Realtors has grown dramatically in the past five years during mount. Realtors are members of the National Association of Realtors (NAR). Not all real estate agents are Realtors. By a very wide margin the NAR is the largest organization representing real estate brokers in the United States. On September 20th, I asked Is There a Realtor Bubble? At the end of 2000 the number of Realtors stood at 803,803, by the end of 2005 their ranks had swelled to 1,265,367. In five short year the Realtors had grown by 57.4%. Now their membership growth is slowing. Their month over month (pdf) national growth was .48% from 1,364,196, to 1,370,758 which represented this smallest percentage growth rate for the month of October since 1999. For the month of October, the number of Realtors declined in 10 states. The tremendous growth rate of the Realtors is over. The NAR should expect outright declines in their membership. The Realtors went to New Orleans so they could send a positive message by helping out the recovering city. On their NardiGras blog they highlight all the goodness they bestowed upon New Orleans during their conference. For example, they boast about the "8,364: The number of hours NAR members had spent in volunteer activities through Saturday, November 11." The goodness that the Realtors accomplished in New Orleans in no ways makes up for all the amount of harm many Realtors have caused during the housing bubble. By cheerleading the bubble and encouraging toxic mortgages many Realtors have done tremendous harm. The foreclosure rate has skyrocketed in many bubble markets due in part to these toxic mortgages. These toxic mortgages were promoted by Realtors and mortgage lenders to many naive homebuyers. The Realtors as a whole should be ashamed of the actions of many of their fellow Realtors and their pathetic leadership (ex. David Lereah) during this bubblicious period. Paper Money updates on what he calls the 'Gangsta Broka' who is "a member of the well known south side Chicago gang the “Gangster Disciples”, ran a mortgage fraud scheme that ripped off "unsophisticated" home buyers for hundreds of thousands of dollars." We knew that significantly more fraud was being commited during the bubble years then during non bubble years. Let's not forget Casey Serin, the poster boy for mortgage fraud who blog about his pastfraud at I Am facing Foreclosure Blog. Patrick.net Photoshop Extravaganza! Don't Miss It! Do big cash bonuses sell homes? (NJ Report) There is even a downloadble spreadsheet with cash bonus offers from craigslist. 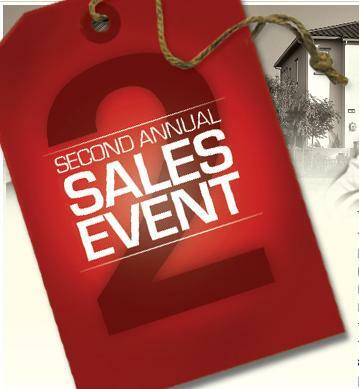 Here is one example: "$20,000 BONUS to SELLING AGENT for full price offer!!!!! $10,000 towards the BUYER’S CLOSING Costs"
Pacific Beach Housing Bubble does a tremendous job writing abotu the local market. How about the deluded flipper who has this property. Ya right will you be able to sell it for that price. Keep drinking the financial kool aide! From Newsweek: David Leareah says "You'd have to go back to the Great Depression to find a housing period that is this unique." Thanks to one reader who found this gem. Lereah and his fellow Realtors are at the annual National Assocation of Realtors convention. This year they are down in New Orleans. Last year New Orleans was underwater, this year many homeowners are underwater on thier mortgage. To cheer up his grumpy Realtors, who pay Mr. Lereah's salary, he offered hope. "We need a price decline, we were overbloated," particularly on the West Coast, David Lereah, chief economist for the National Association of Realtors, told attendees at his organization's annual meeting here on Friday. "In 2007, it will be a flat year, maybe 1 percent [sales] drop, and that's it," Lereah said. "After 2007, we'll be back to expansion again." 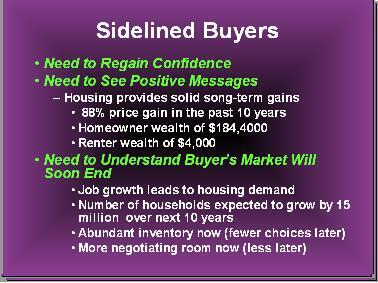 Lereah forecast that 2006 sales will end up about 9 percent lower than in 2005, a record year. He anticipates sales of 6.47 million units, declining to 6.43 million next year. Prices nationwide will be down by about 2 percent, year over year, and will inch up by 1.5 percent in 2007, he said. New-home sales will decline this year by 16.8 percent, to 1.07 million units, and will sink 8.7 percent further next year, to 975,000, he said. Lereah said inventory is stabilizing, citing his trade group's data on pending sales--homes that have gone under contract. "It appears that inventory has peaked," said Lereah, who now estimates a 7.3 month supply of available homes nationwide. "We were hovering near four to five months' [supply of homes for sale] during the boom, and in some areas, such as Orange County, Calif., we were measuring it in weeks, not months." But Lereah said the national picture is positive. "I'm optimistic for 74 percent of the country," where local markets are, at worst, flat. The other 26 percent are in for some rough times." Struggling the most would be California, South Florida, Arizona, Nevada, and metro Washington, D.C., he said, where sellers need to lower their prices. Mr. Lereah, the discredited chief economist propagandist for the Realtor is still whitewashing the real estate reality. The new monthly numbers for October 2006 are out from the MRIS the multiple listing service for the area. The MRIS numbers continue to show declining prices. The YoY = Year over Year, that is the comparison between October 2006 and October 2005. These numbers include all housing units, including single family residences (townhouses, houses), condos and co-ops. For more numbers on jurisdictions not mentioned here please go to MRIS Market Statistics. The housing market in the Washington, DC area is experiencing a significant decline. The above numbers are nominal dollars, looking at real dollars (inflation adjusted) the market looks much weaker. 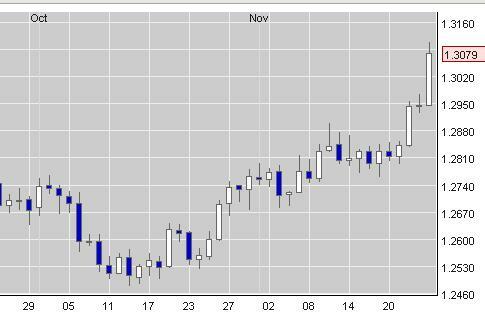 The market will continue to decline as we head into the fall and winter months. Loudoun County's peak median price of for all housing units sold was a bubblicious 506,100 reached in August of 2005. Now, in October 2006 it has fallen by 78,150 dollars or 15.4%. In real dollars this would be a decline of 18 or 19%. [A small part of this huge price decline are seasonal factors at work where prices in the non prime real estate months are reduced compared to the buying season (spring through late summer)]. In the metropolitan DC area a declining housing market is reality. Bargain Network reports that"According to Bargain Network, an online provider of real estate foreclosure, pre-foreclosure and for-sale-by-owner properties and information, third quarter foreclosure activity has increase across the United States by 14 percent compared to the second quarter this year. The Monthly U.S. Foreclosure Trend Report released yesterday by the company also held that the nation saw a 39 percent increase in foreclosure activity compared to the same quarter last year, and that in the month of September alone, there were 103,000 houses that went into the foreclosure process." "While September's foreclosure activity only saw a 10 percent decrease compared to the record breaking month of August, the 51 percent hike from a year ago is alarming. Both September's figures, as well as the third quarter's, showed that the foreclosure rate was one new property for every 1,222 U.S. households." "The top five states to represent 66 percent of the foreclosure activity were Florida, California, Michigan, Texas, and Colorado." "On the opposite side of the country, California, which ranked second, had 17,000 properties enter into some state of forelcosure, with a new foreclosure rate of 1 filing for every 712 households. Compared to the previous month, the state saw a 37 percent increase and a 44 percent increase from the previous quarter." 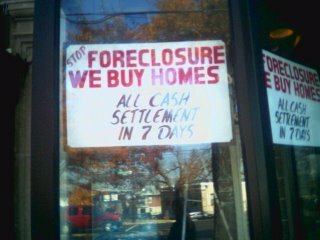 "Nearly 9,000 foreclosures were reported entering the foreclosure process in Texas, or 1 foreclosure for every 920 households. 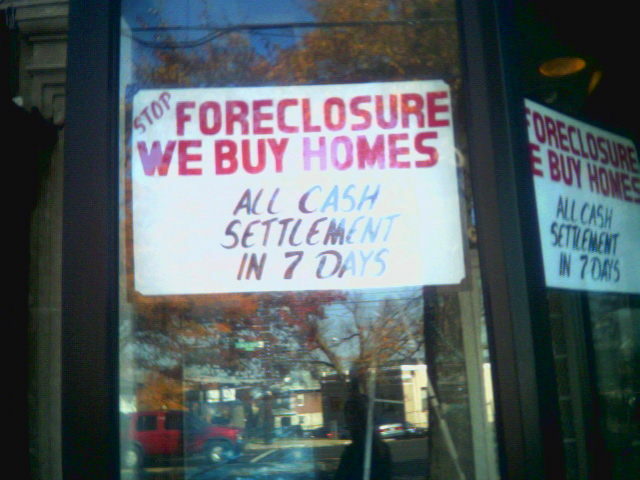 Colorado had a total of 7,00 foreclosure filings, or 1 foreclosure for every 266 households." "Tom Adams, president and CEO of Bargain Network, it's not a surprise that the western states top the charts due to the "predominance of negative amortization loans" where borrowers pay interest-only, without gaining any equity." Election Day is today. Go Forth and Vote! The National Association of Realtors launched a major ad campaign to convince buyers that "It's a Great Time to Buy." Many Realtors are hurting as sales volumes have declined tremendously in the bubble markets. For example, in Los Angeles County, according to DataQuick, sales are down 31 percent compared to September of 2005. In Loudoun County, suburban Washington, DC, the dollar value of property sold has fallen 44% from last September. "Look for NAR's advertisement during the weekends of November 3-5 and 10-12 in six leading U.S. newspapers: New York Times, Wall Street Journal, Washington Post, Chicago Tribune, USA Today, and Los Angeles Times. The ad closes with a call to action to contact your REALTOR® or visit REALTOR.com. NAR is publicizing this message to the press through news release, media outreach, and selected television interviews. In January 2007, NAR will take this message to the airwaves with television and radio commercials." The National Association of Realtors is interested in thier membership and is not there to give prudent advice to potential homebuyers. Don't be fooled by their soft landing talk! In the bubble markets this will be a hard landing! 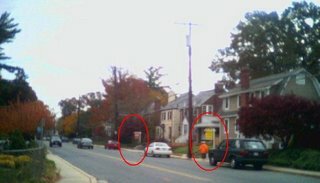 Update: Check out this spoof of the Realtors' Ad and also Big Picture's Excellent Analysis of the Ad. Housing Panic Blog hits 2 million hits! Congratulations! Keith is one prolific and opinionated blogger! Keep up the excellent work. :-) If you are ever in Washington, DC I'll certainly buy you a beer! More and more toxic mortgages are resetting. Responsible are those uninformed and/or greedy borrowers abetted and encouraged by irresponsible mortgage brokers. To track this growing mess there is Bubble Markets Inventory Tracking. Lots of links to Bubblicious Articles @ Southern Maryland Housing Bubble News! A large congratulations for the NJ RE Report receives major publicity in the Star Ledger. Helping to spread the truth about the housing market!